Hartland's indoor climbing wall provides a fun and challenging experience for all ages and skill levels. The Climbing Wall is 24 feet high and offers four distinctly different challenges. 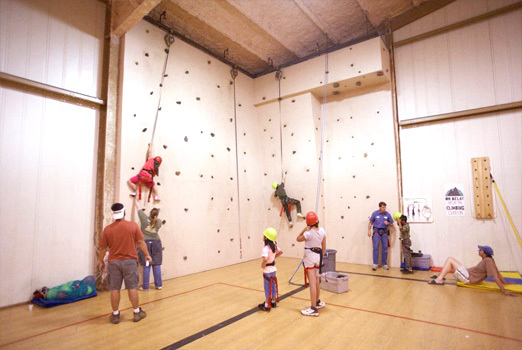 The climbing wall is available year-round for all Hartland guests. There is no extra charge for this activity for those attending Hartland sponsored camps. For rental groups there is a fee of $30.00 for the first hour and $20.00 for following hours (Approximately 50 people per hour).